The first thing that many people notice about Woodcliff Manor is the undeniable historic charm of its 19th-century manor house. The house, which features beautiful architectural details such as hand-made beveled glass doors, was built before the Civil War. The home was then transformed into a restaurant in the 1920s. It has been a family-owned business since 1972. You will also notice the beauty of your surroundings. The neighborhood, in the heart of Woodcliff Lake, NJ, features manicured lawns and lush gardens, as well as a private Victorian green and ponds with waterfalls. 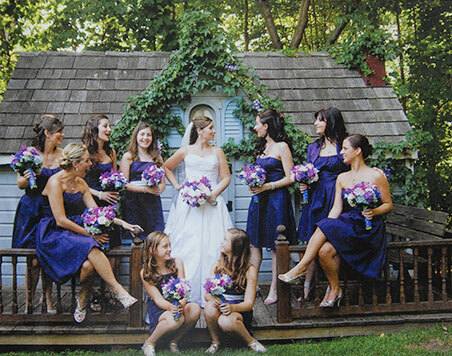 The immaculate grounds provide the perfect setting for your wedding, outdoor party, or other celebrations. The Woodcliff manor is a newly redecorated facility that offers classic elegance along with historic charm that’s been updated to live up to current expectations. You and your guests will enjoy exquisitely prepared cuisine that suits your taste and personalized services from our professional staff. Please call us on 201-391-0940201-391-0940 to arrange for a private tour. © 2019, Woodcliff Manor. All Rights Reserved.